Show your support for the museums efforts to bring quilting to new audiences, educate the next generation of quilters, and preserve the art form so it will be enjoyed for hundreds of years. The National Quilt Museum is owned by the quilting community, funded by people passionate about quilting, and represents today's quilter. Show your support today! Show Your Passion for the Future of Quilting After Your Lifetime. The National Quilt Museum accepts monetary donations in check or credit card. Become a Friend of The National Quilt Museum. Want to leave a legacy by supporting the museums efforts to sustain and expand quilting. The National Quilt Museum does accept gifts of stocks and other securities. A Tax-Saving Way to help The National Quilt Museum. Honor a friend or love ones passion for quilting by making a memorial or tribute gift in their name. Endowment Gifts are a great tool for funding the long-term health of The National Quilt Museum. A charitable lead trust works by donating payments out of a trust to the museum for a set amount of time. Turn Your Generosity into Lifetime Income with a Charitable Gift Annuity. We regularly work closely with professional advisers when clients are planning potential gifts to The National Quilt Museum. 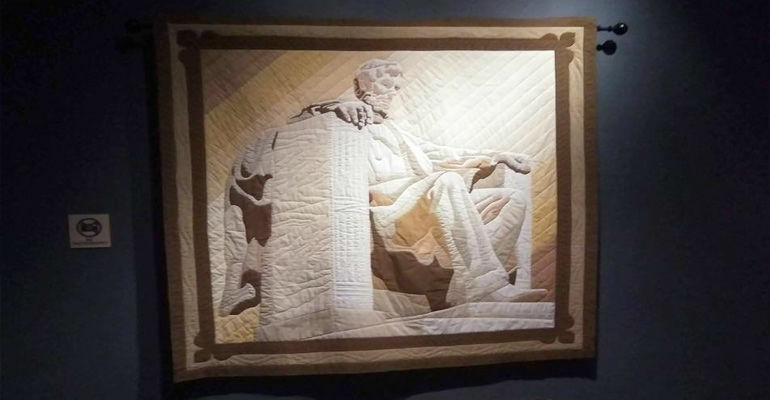 The National Quilt Museum is a 501(c)3 nonprofit organization dedicated to advancing the art of today's quilting community. 270-442-8856 or fill out the form below. The information on this website is not intended as legal or tax advice. For such advice, please consult an attorney or tax adviser.